– This promotion is valid until December 31, 2018. 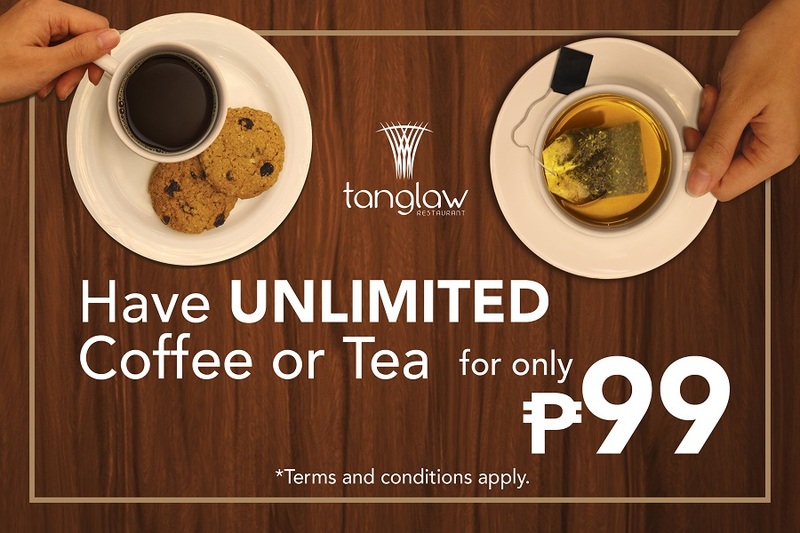 – Available daily at Tanglaw Restaurant, from 11 am to 10 pm. – Offer comes with two (2) cookies and selection of coffee or international tea. – Senior citizen and PWD discounts are applicable. – If this promotion is requested or availed in a separate venue, poolside, or room service, additional 10% cost will be applied.